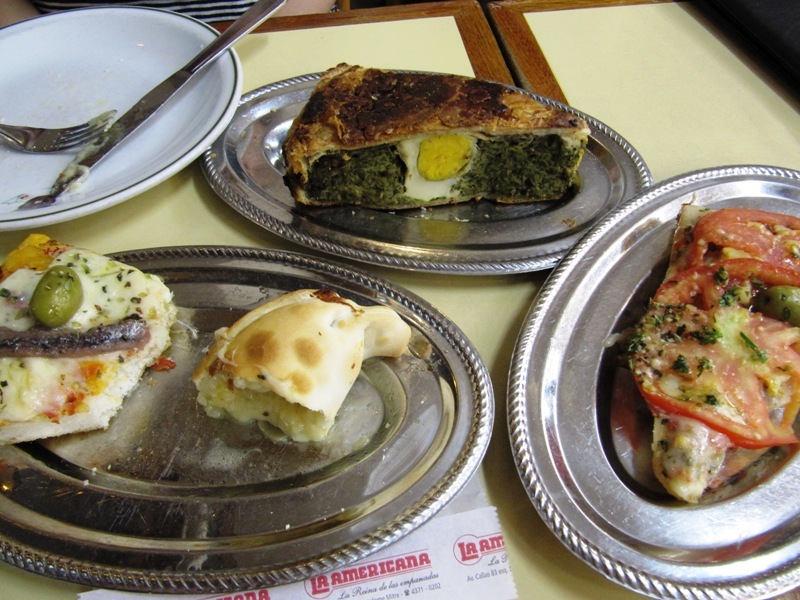 Overall, food in Buenos Aires is prepared simply. A grilled steak sprinkled with salt, roasted veggies seasoned with salt, a lettuce and tomato salad dressed with vinegar, oil and salt. The restaurants here are in love with salt but are timid in their application of other spices. 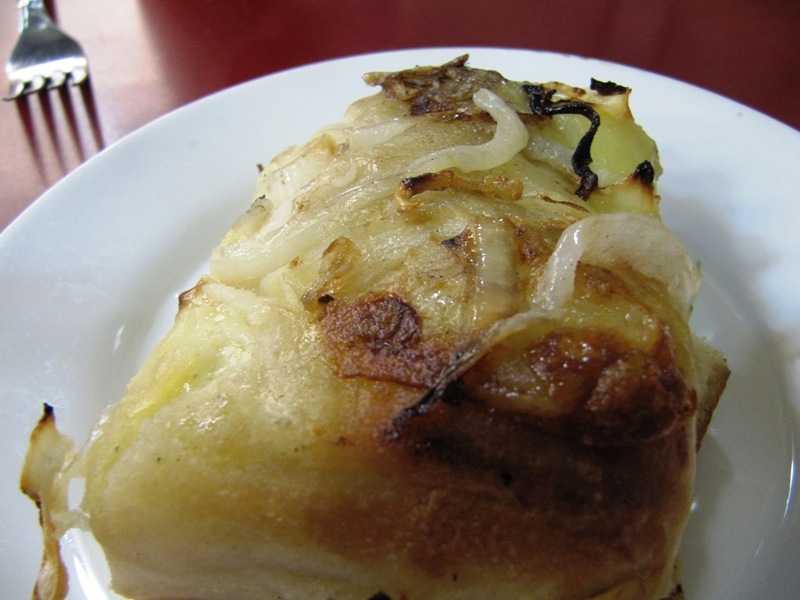 At times the blandness is tiresome but there are foods for which simple preparation really works. Pizza is one of them. 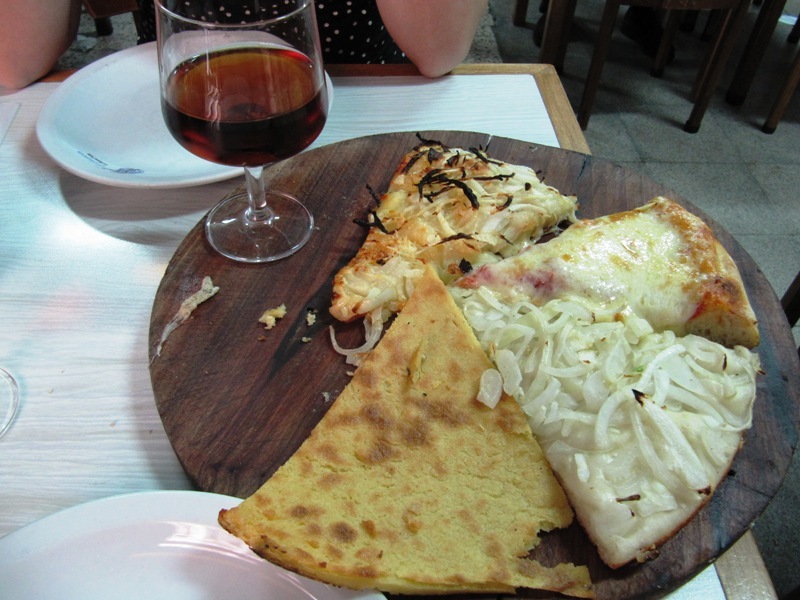 Pizza in BsAs is absolutely delicious. 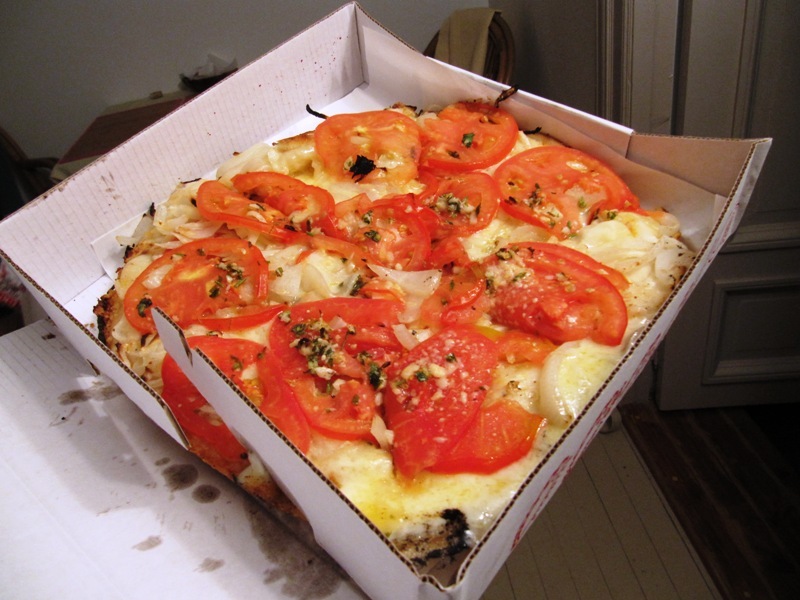 Imagine a thick doughy crust with a thin layer of sauce and a load of ooey-gooey mozzarella cheese dripping from it. Ok, I know everyone has their different pizza preferences. Some like it thin (which is also available) and some don’t like so much cheese, but Nathan and I love it just the way it is. 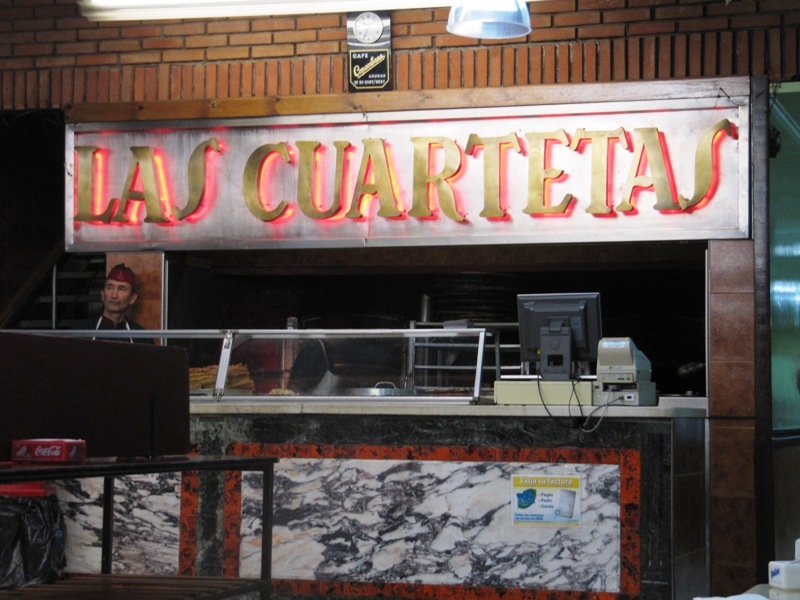 This place has a great combination of delicious food, fun atmosphere and good value. 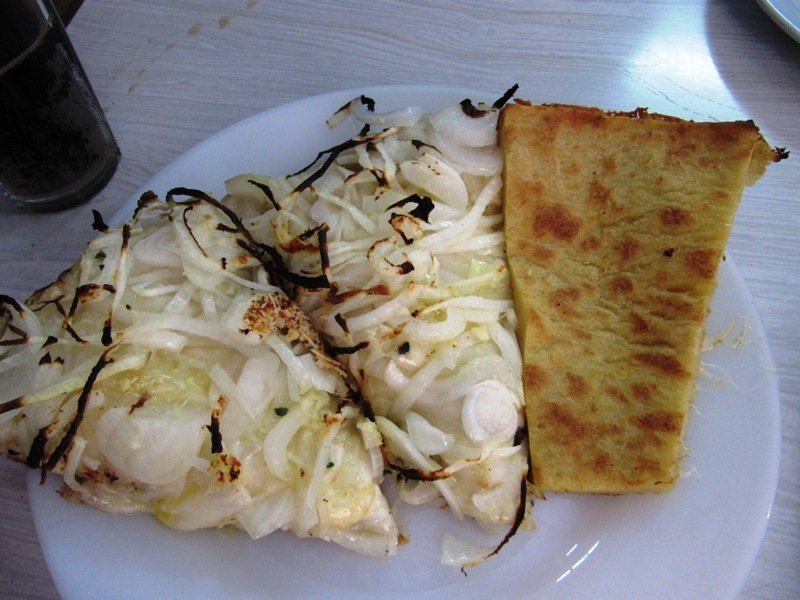 They served me my first, and I think best, fugazza. A great recommendation from a friend. This restaurant looks small from the front but hides many large dining areas towards the back. Their muzarella has set a new standard. 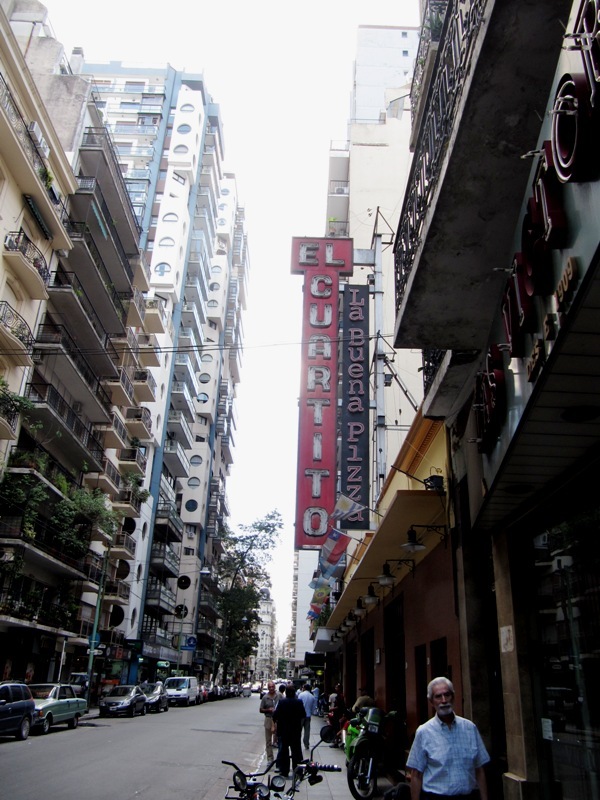 This place was 2 blocks from our apartment! Even the empanadas and ricotta cake dessert were tasty. There were other great places and many more recommendations we didn’t get to try. But these were the standouts. 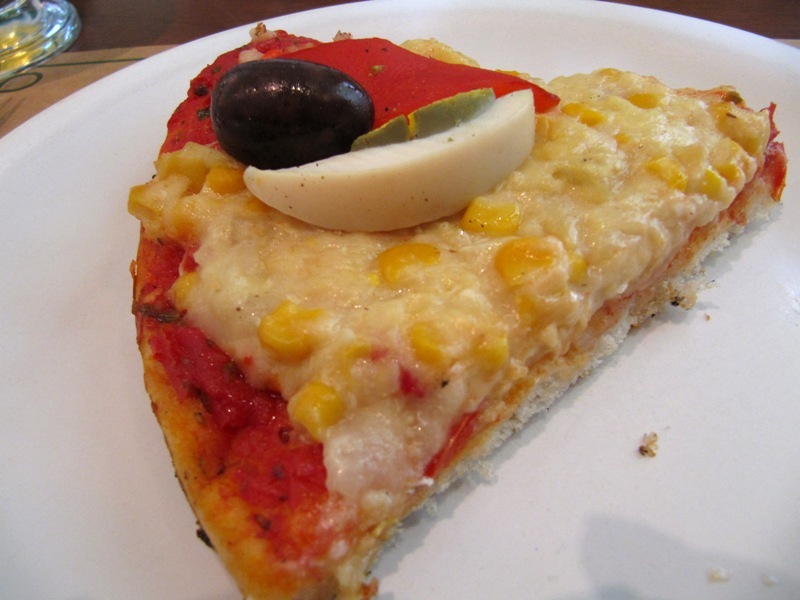 For more suggestions, Kat at our spanish school has a great entry on pizza. 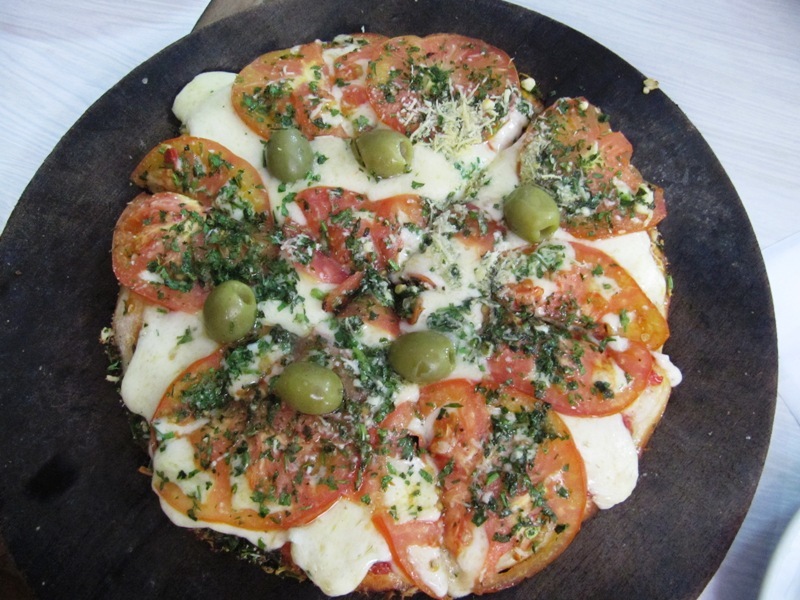 Who wants to do an Argentinian pizza party when we get back? These pizzas look good, but I know you are craving some cheese board or zacharys :) I will make sure to have either in the upcoming future and blog back to you guys! Mmmmm Zachary´s is still my favorite! This has really put me in the mood for a good pizza! Like the pics! Always good to hear that we have a fan in Iowa! Miss you and can´t wait to see you!